Can the recent political changes in Armenia alter the course of negotiations over the Nagorno-Karabakh conflict? A few months ago, the Republic of Armenia (RA), a former Soviet Union country in the Southern Caucasus, experienced protests against the newly elected Prime Minister Mr. Serzh Sargsyan. This resulted in the replacement of Mr. Sargsyan by one of the main opposition leaders and Members of the Parliament of RA, Nikol Pashinyan, on the 8th of May. During his visit to Nagorno-Karabakh on 9th May, Mr. Pashinyan talked about the importance of the participation of the representatives of Artsakh (another name for the Nagorno-Karabakh Republic) in negotiations with Azerbaijan. However, this has been strongly rejected by the Azerbaijani side for the last two decades. It is worth mentioning that the Nagorno-Karabakh Republic (NKR) took part in the armistice signed on the 12th May 1994, but left formal negotiations soon later. 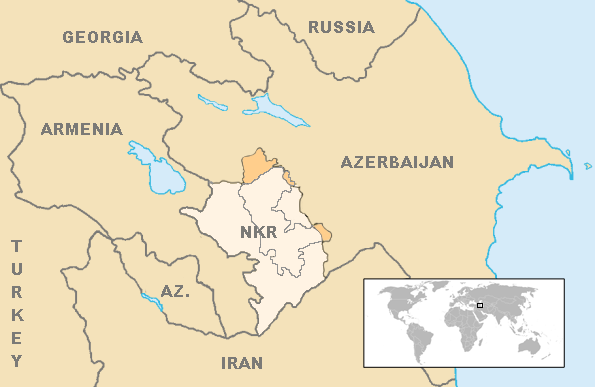 The formal participation of the representatives of NKR in the negotiation process could lead to some huge changes, as this would reduce the social and economic impacts of the isolation of NKR by the Azerbaijani forces. Thus increasing the involvement and aid of various charity organisations in the different projects in NKR. This idea has been strongly supported by the founder and president of HART, Baroness Caroline Cox. On her visit to The Lady Cox Rehabilitation Centre in NKR in October 2016, Baroness Cox said, “My position has always been based on two fundamental principles: first of all, NKR has to be part of negotiations in the future and the second, people of Karabakh have to be given the right of self-determination”. Another outcome of the political changes in Armenia is that it showed the commitment of the Armenians to build a more democratic country. Unlike the revolutions in Georgia and in Ukraine, in Armenia, it was not led by any foreign rule but was the spontaneous protest of the ordinary Armenians. Once again, this shows that it is possible to achieve political changes by peaceful means in different countries and that the use of violence cannot be accepted at any time and anywhere, regardless of the situation. Supporting the people in Armenia and Nagorno-Karabakh would further strengthen democracy in the region. The events in the RA showed that NKR and Armenia are democratic countries and are ready to reach a resolution of the Nagorno-Karabakh conflict by peaceful means. 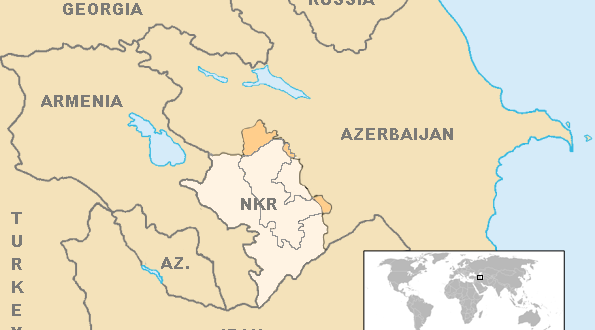 Last but not least, there was a small-scale protest in Nagorno-Karabakh at the beginning of June, which erupted after an incident between the Security Service of Nagorno-Karabakh and a few civilians. People wanted the resignation of some of the officials, responsible for the actions. The government of Nagorno-Karabakh did not use violence at all and tried to reach a solution after negotiating with the opposers. This is another example of flourishing democracy in Nagorno-Karabakh and shows that our aid to this small and not officially recognized country is essential. We believe that democracy is not just words and taking actions is vital for achieving it. The democratic government of Nagorno-Karabakh proved to the world again that it deserves both historically and by the international law to be respected and recognized. Narek is a student from Armenia, who has just finished his GCSEs. He is interested in Politics and enjoys work experience at HART.